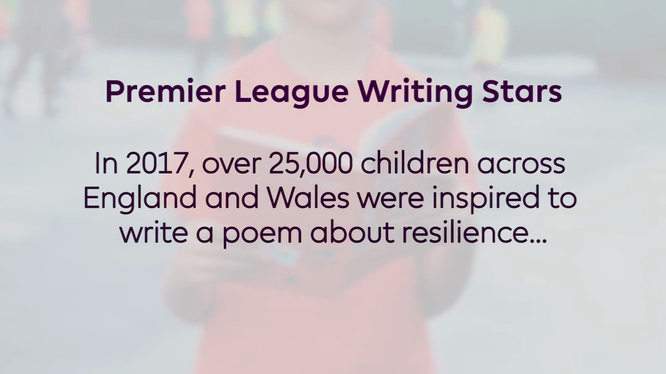 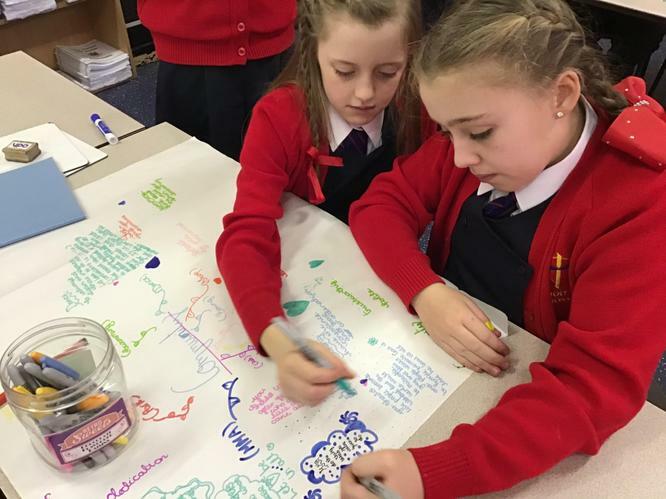 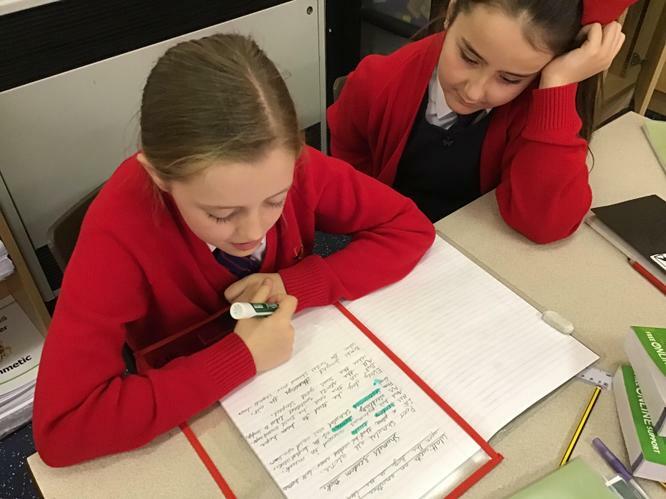 This year, the children and staff at Holy Cross are working hard to achieve the Liverpool Writing Quality Mark (LWQM). 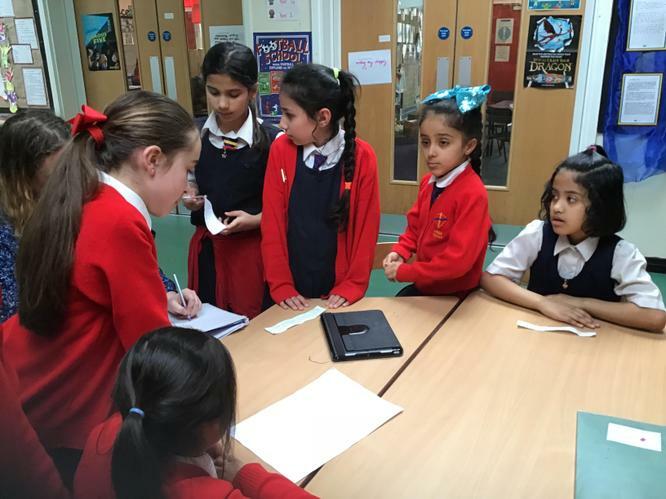 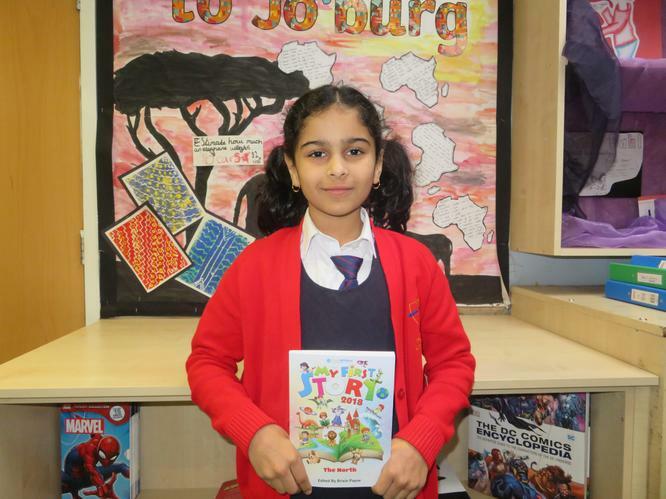 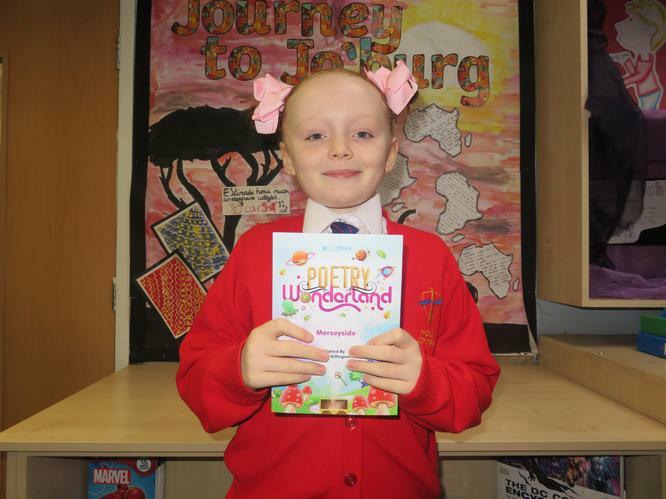 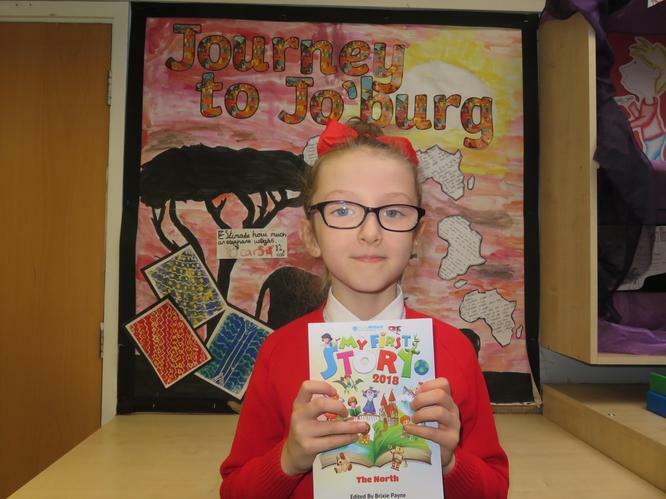 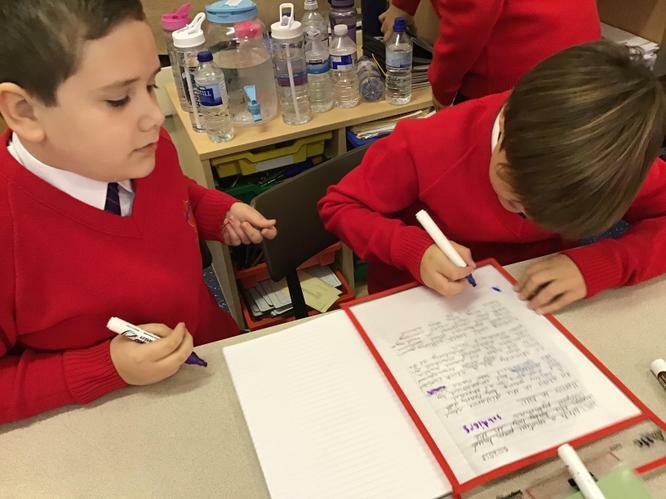 The children at Holy Cross often take part in Young Writers competitions regularly. 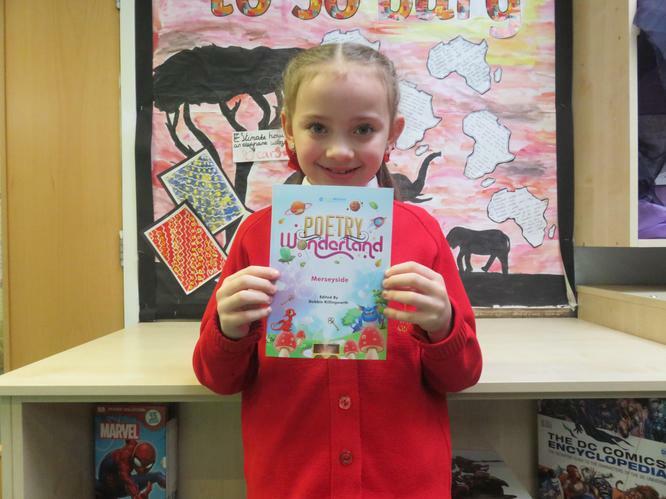 The children often get their work published in books. 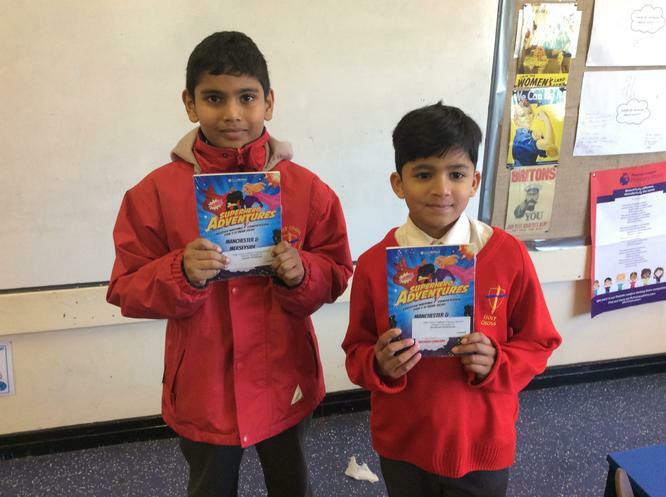 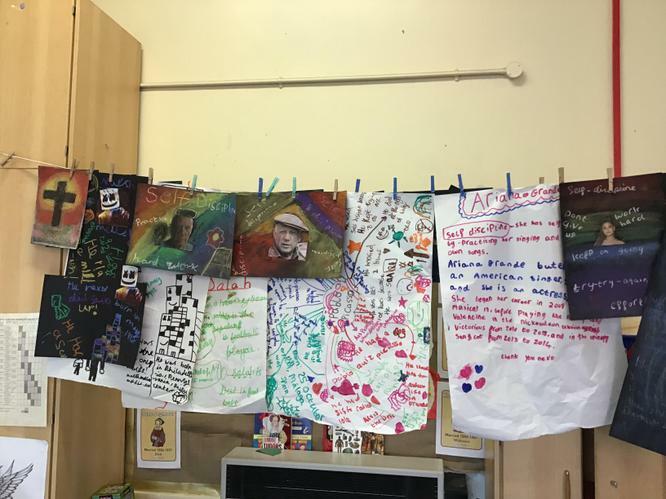 The children below took part in a writing competition about Superheroes. 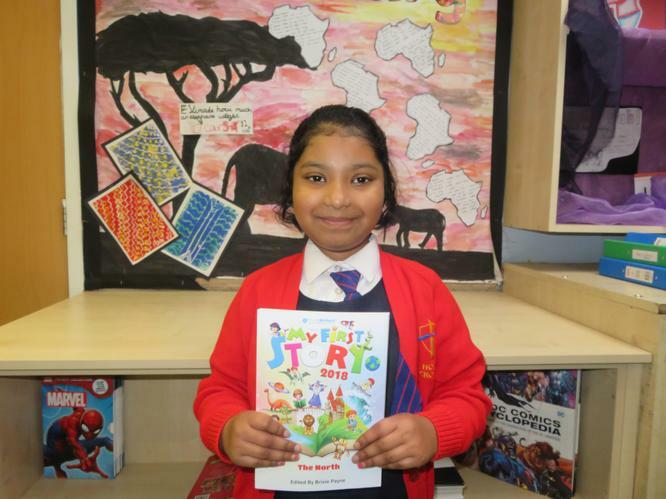 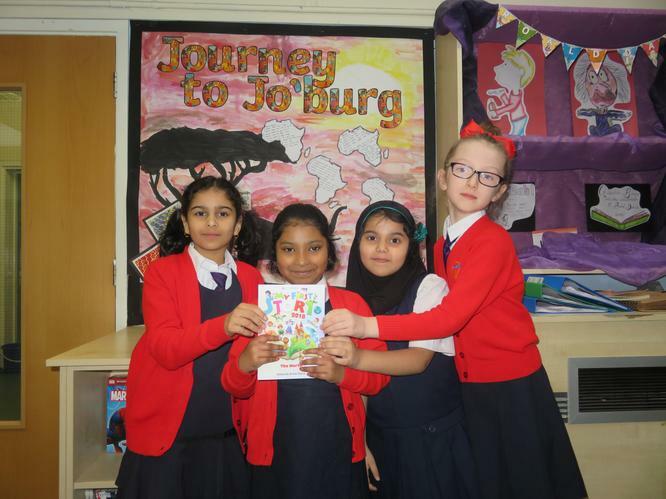 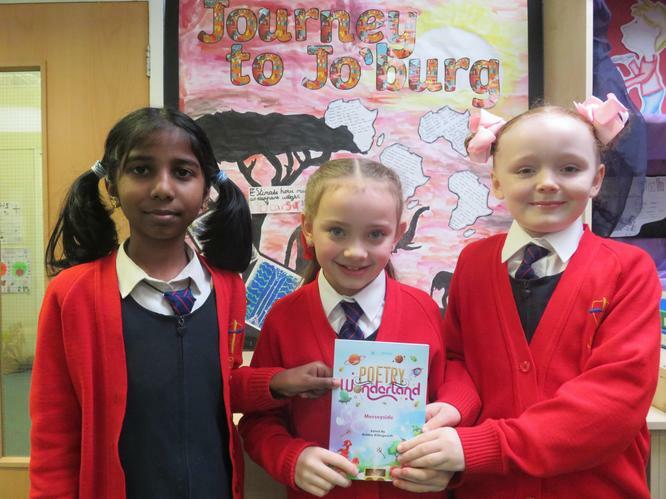 Well done to those Holy Cross published authors! 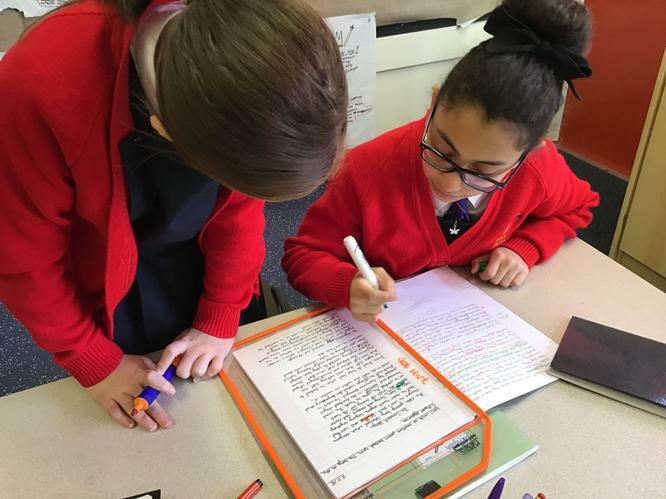 English Ambassadors wear a tool-belt filled with writing equipment at break and lunchtimes! 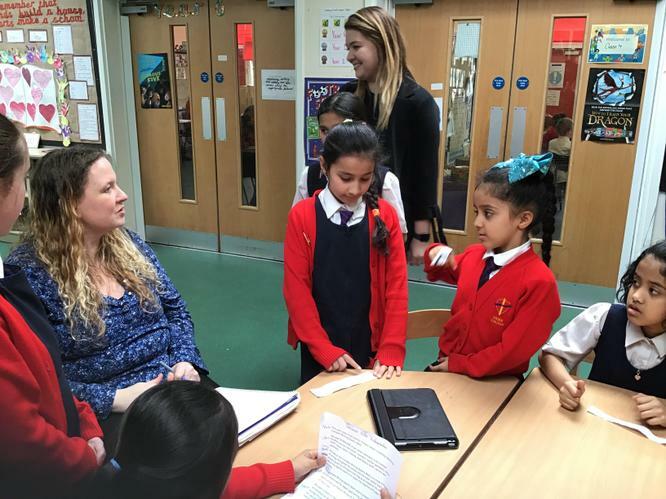 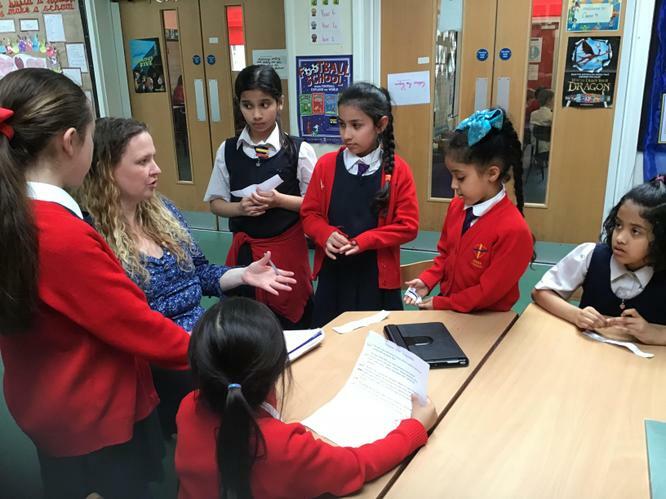 English Ambassadors reporting to Miss Hodges, our English Governor, about what we've done for the LWQM! 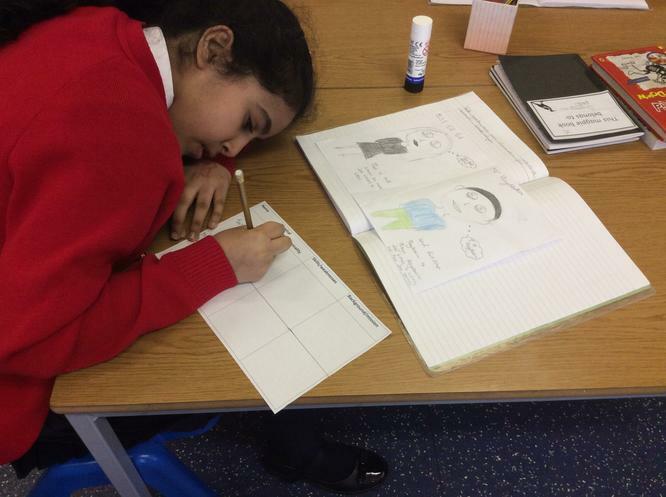 English: using our evidence detective skills and inference to draw upon specific information on characters. 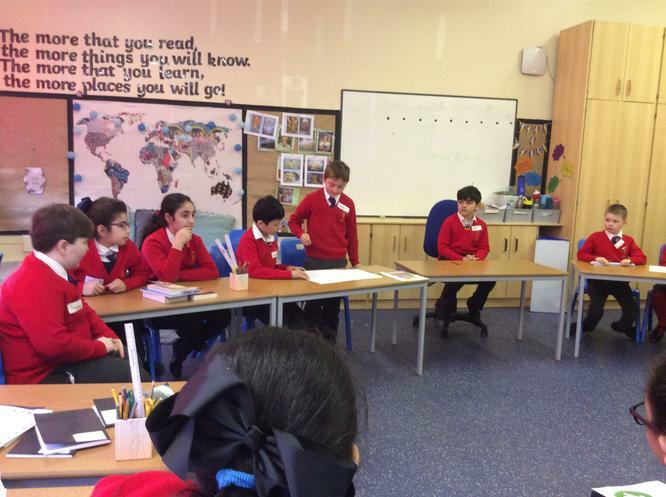 RE: discussing and recording ways in which Christians should live out their faith in different areas of the community. 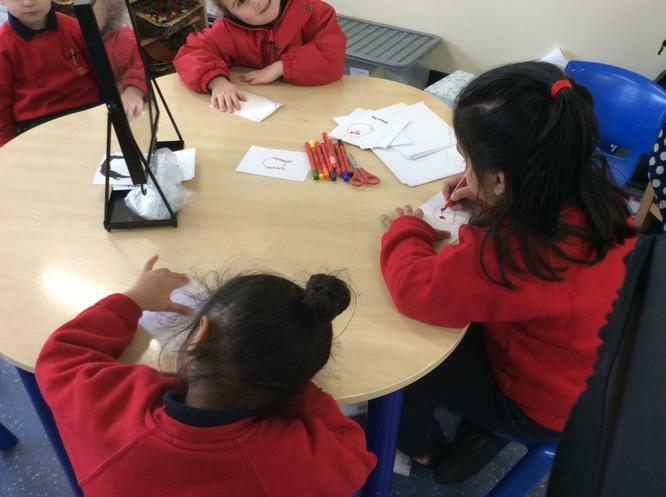 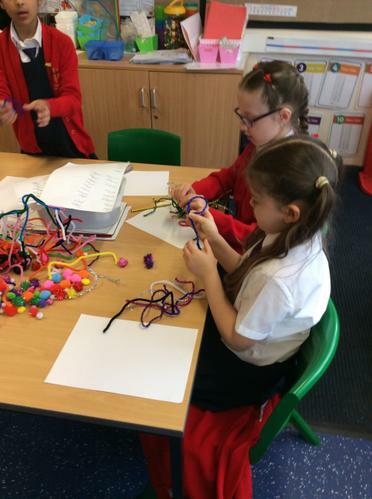 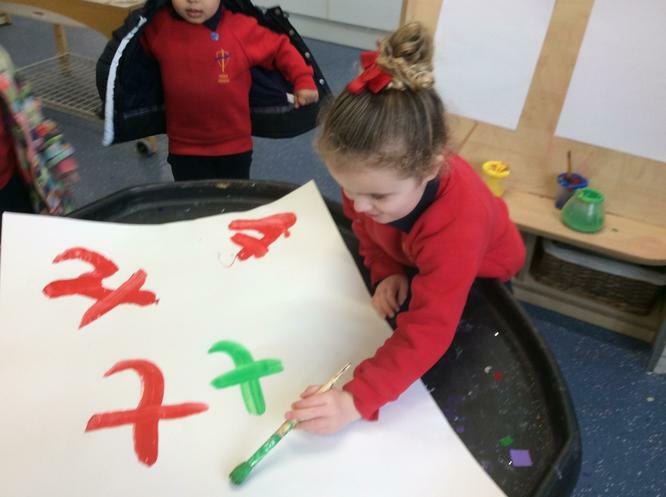 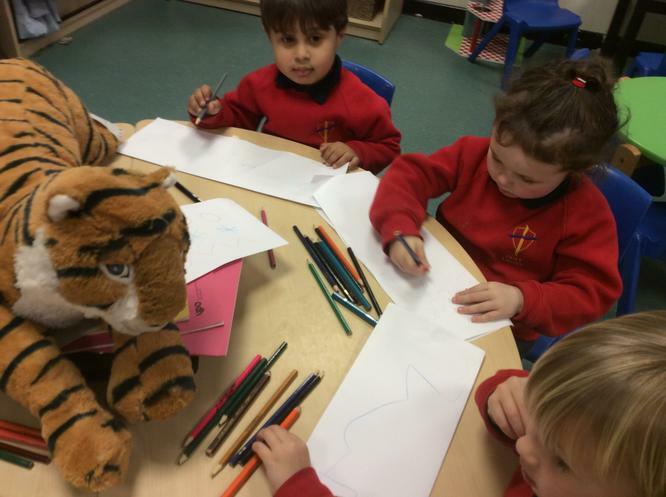 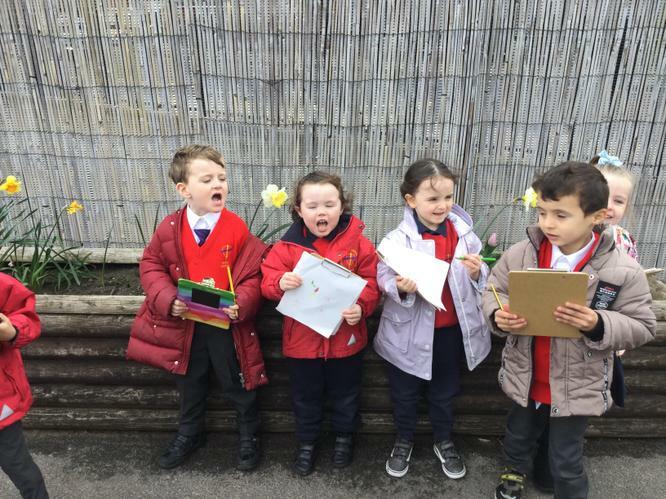 Reception have been writing about what they think could be inside the eggs, with a little help from their writing buddies! 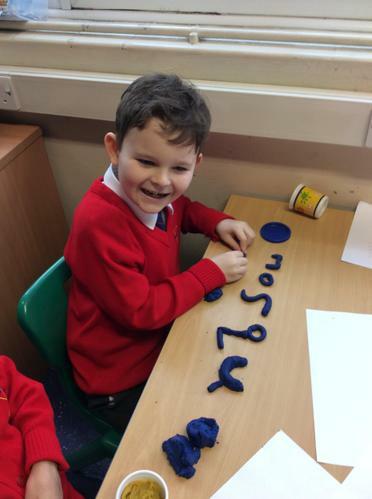 We have really enjoyed our spelling lessons! 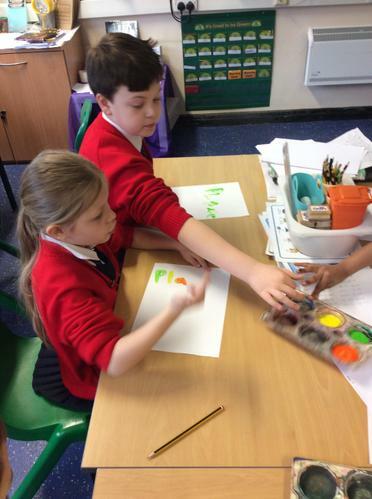 We learn new spelling rules and work hard to apply these in our writing. 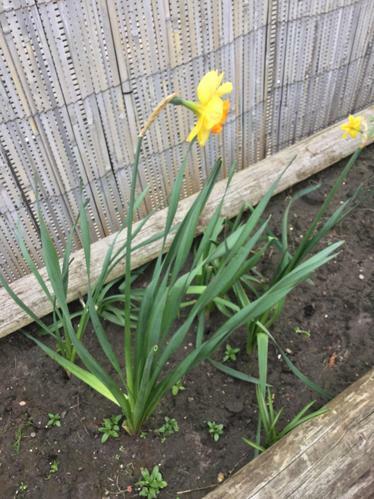 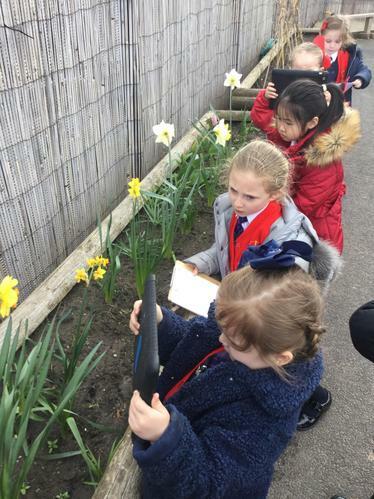 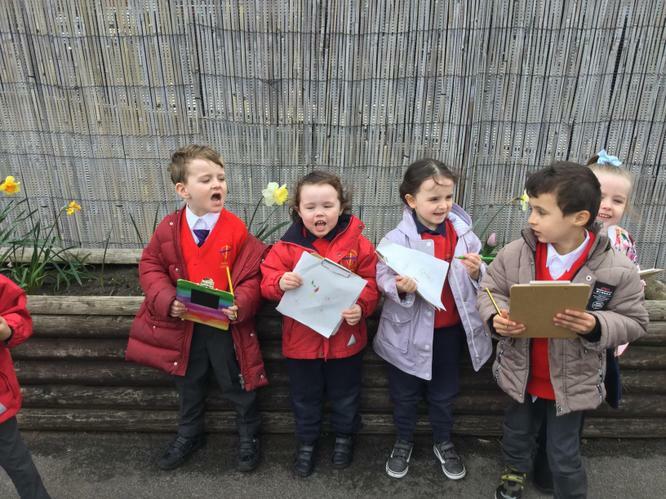 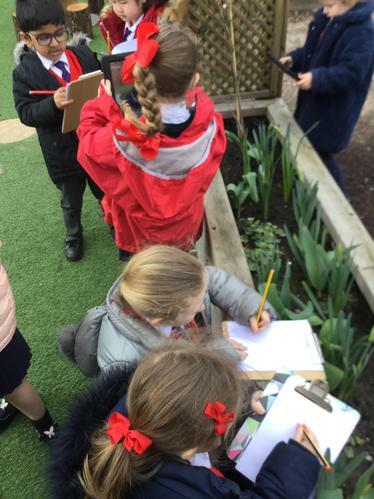 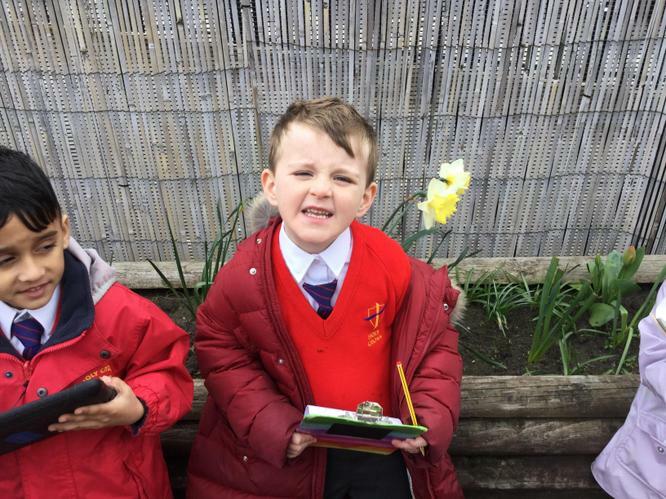 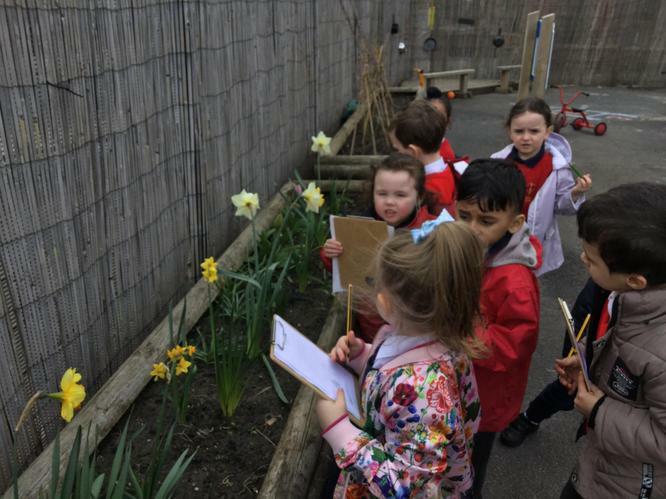 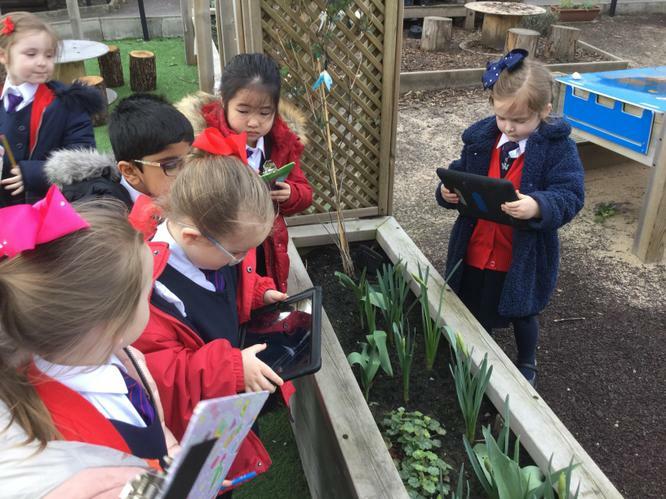 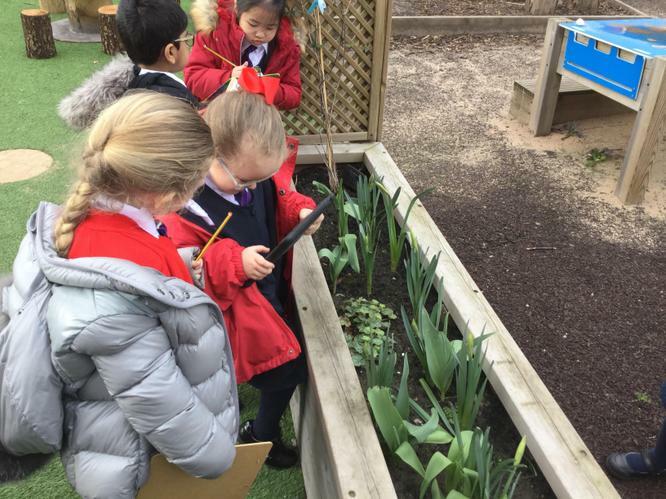 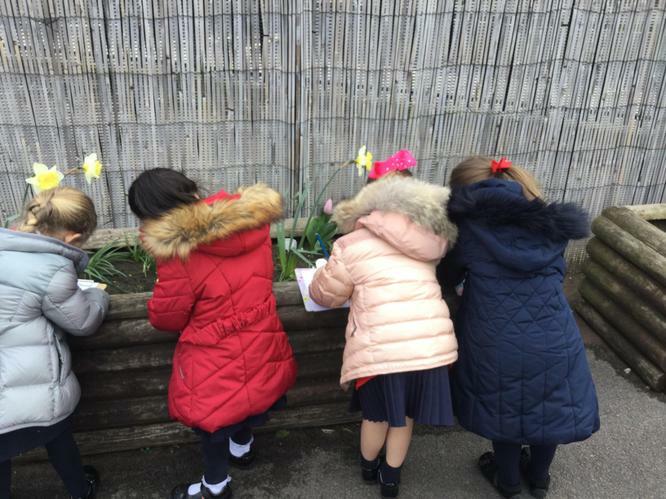 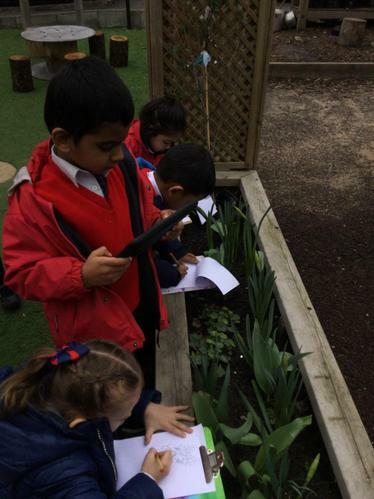 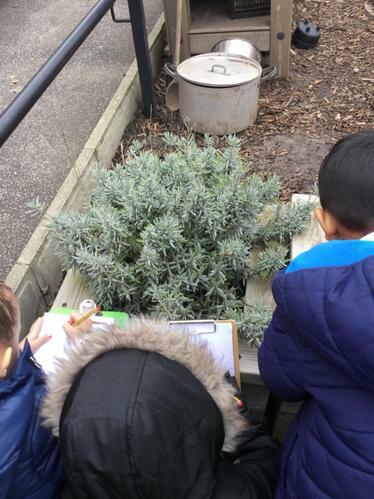 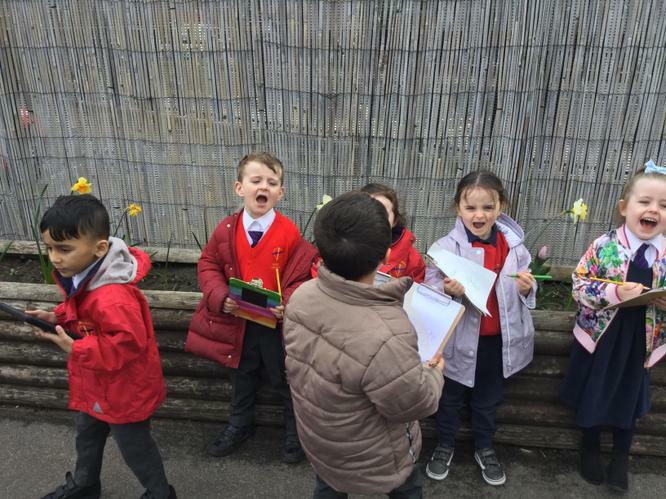 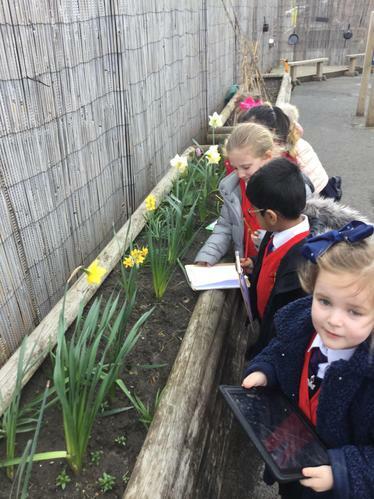 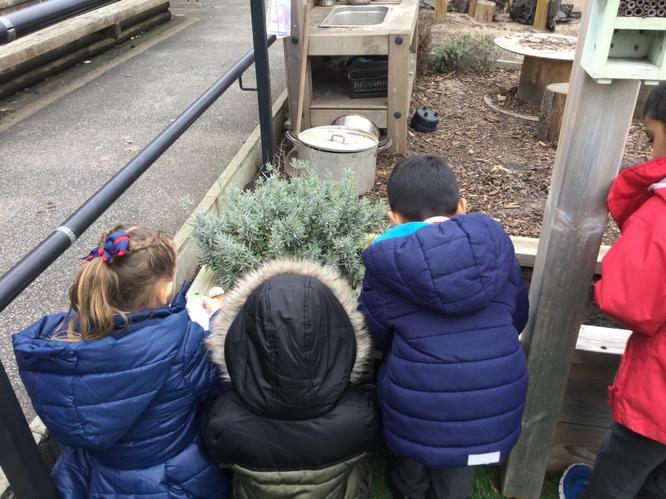 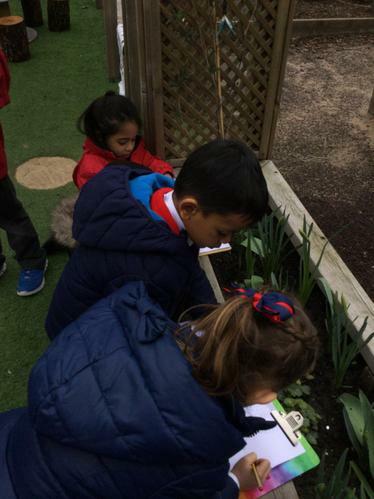 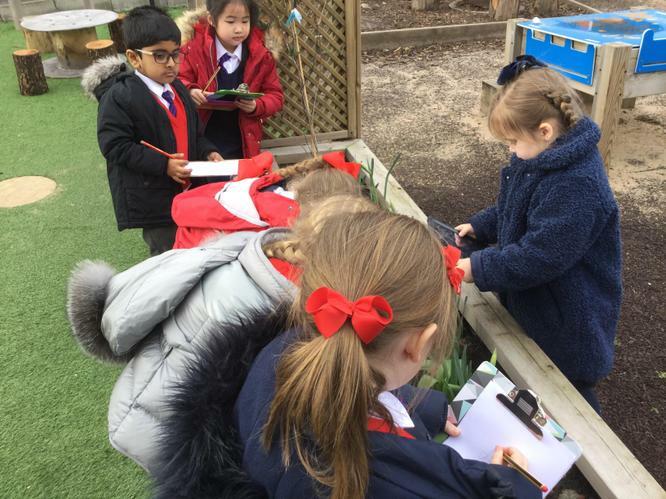 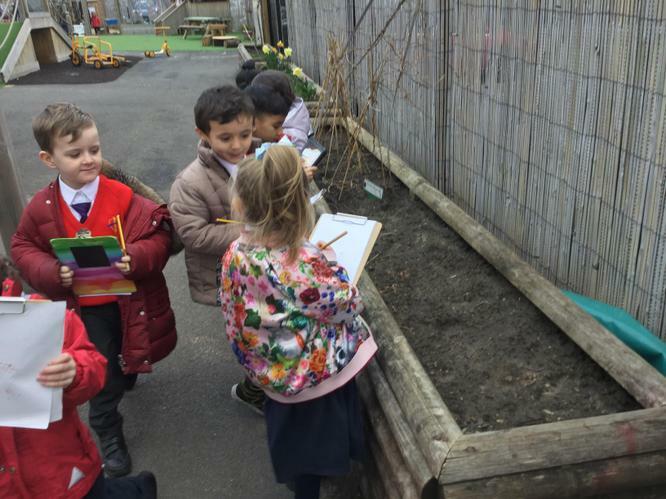 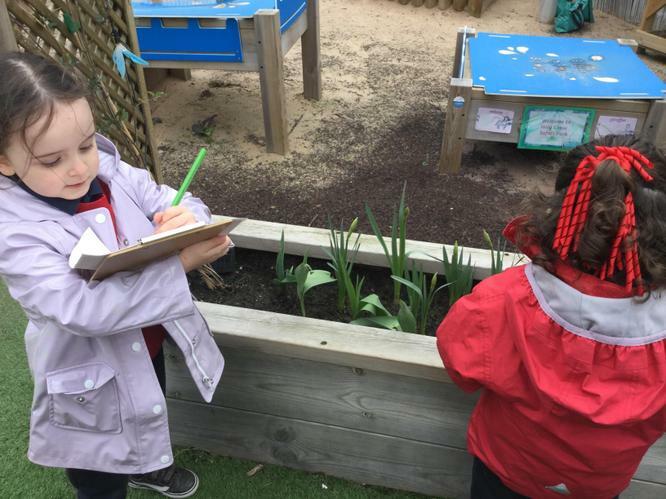 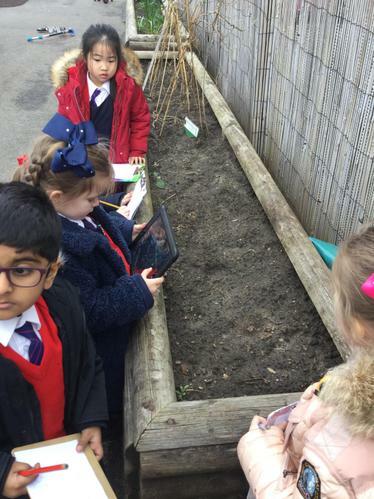 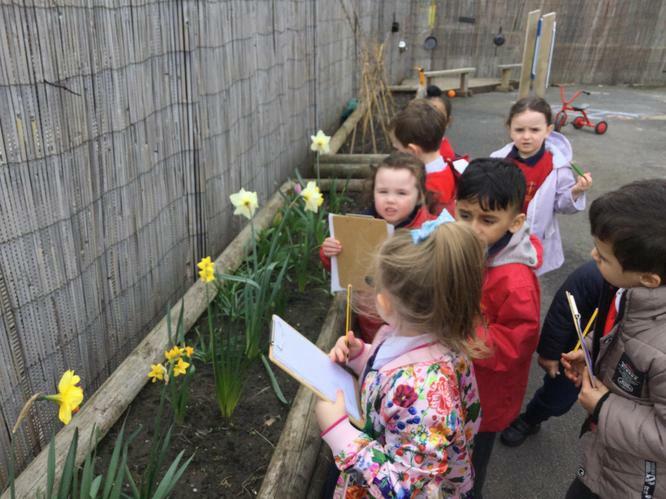 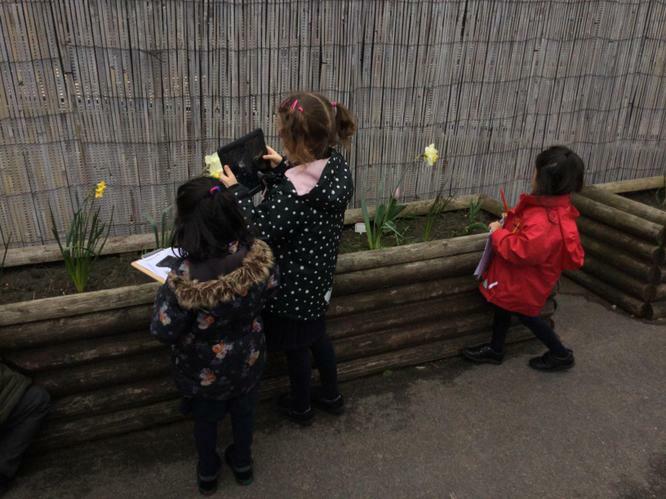 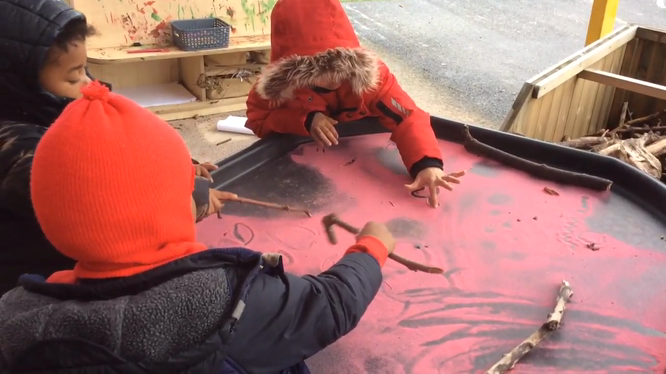 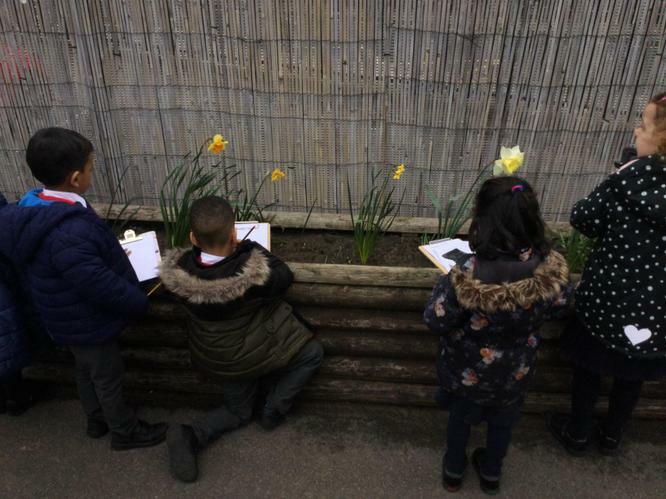 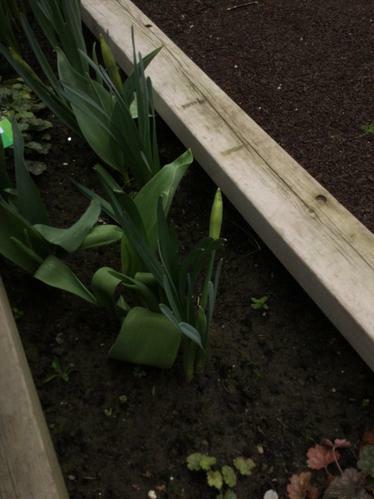 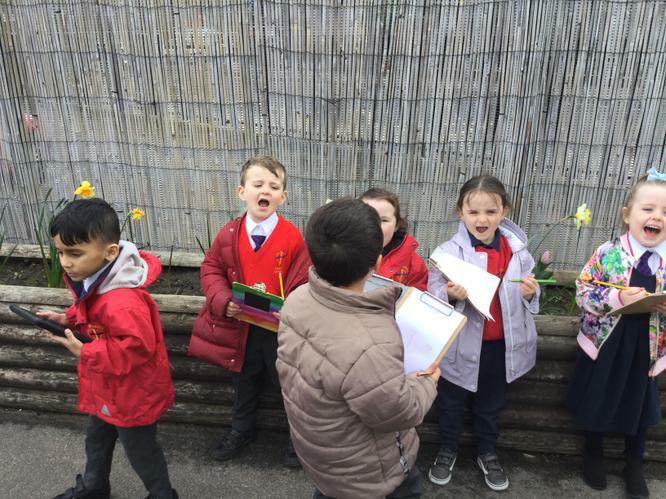 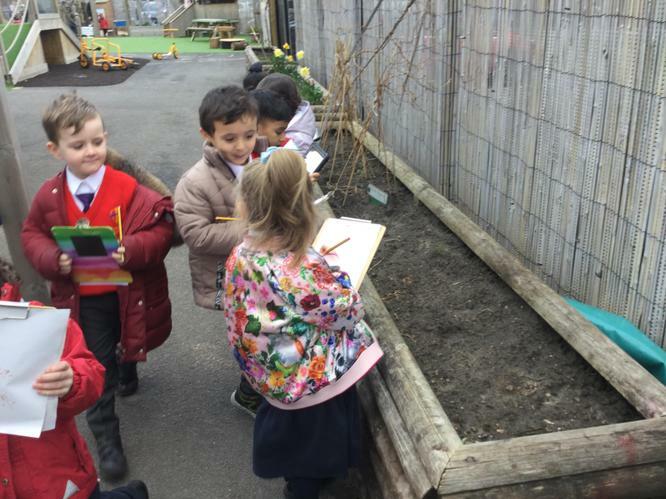 In Nursery we have opportunities to practise early writing outdoors. 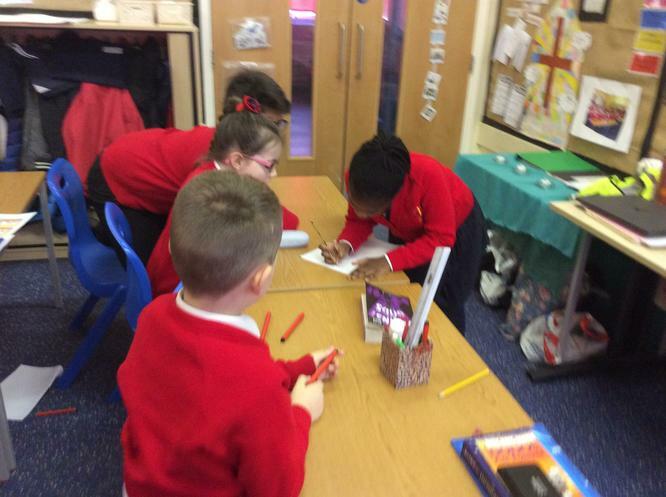 On world book day we wrote to our new pen pals! 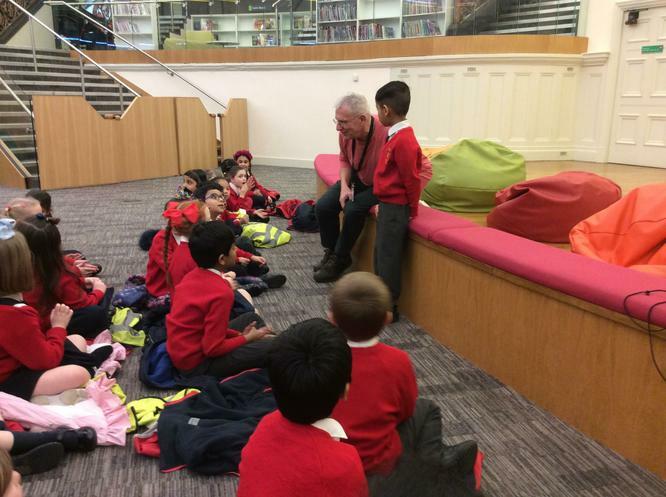 We enjoyed introducing ourselves, telling them about our trip to the library and what we have dressed up as! 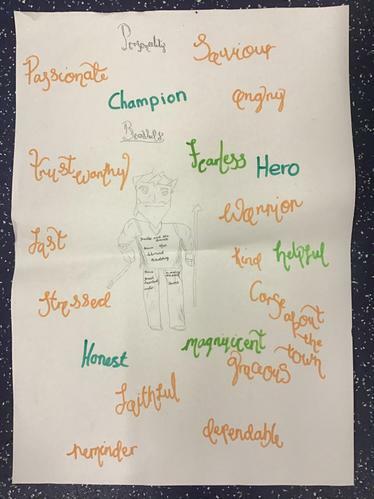 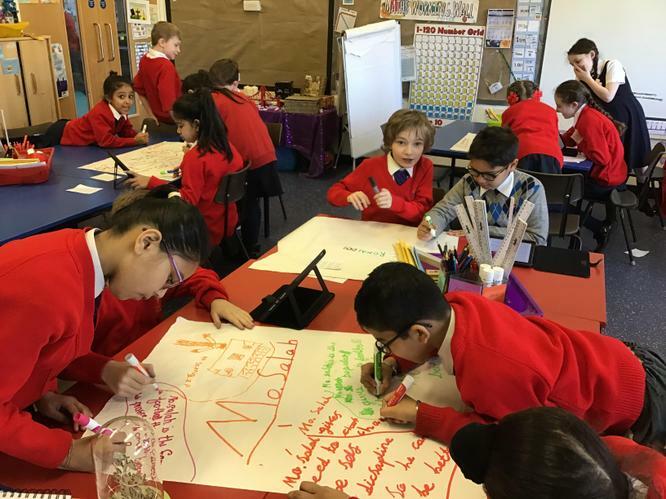 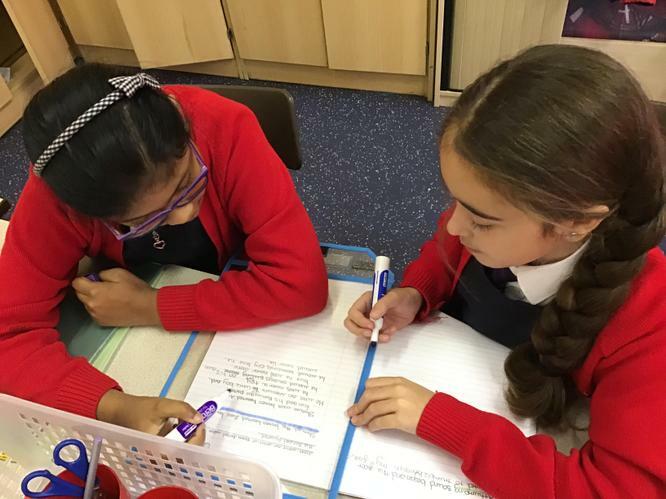 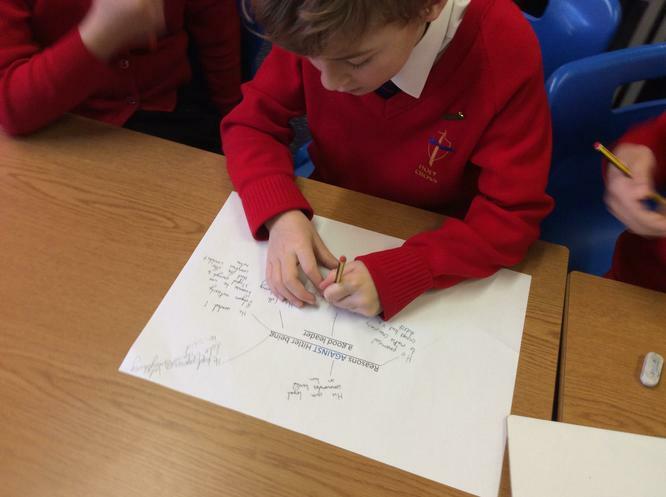 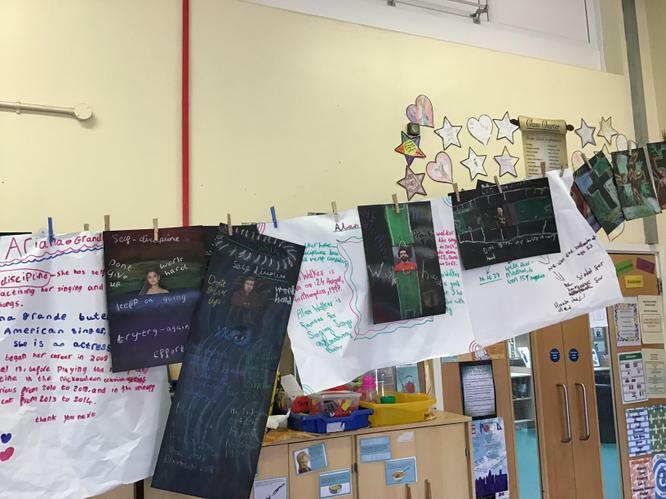 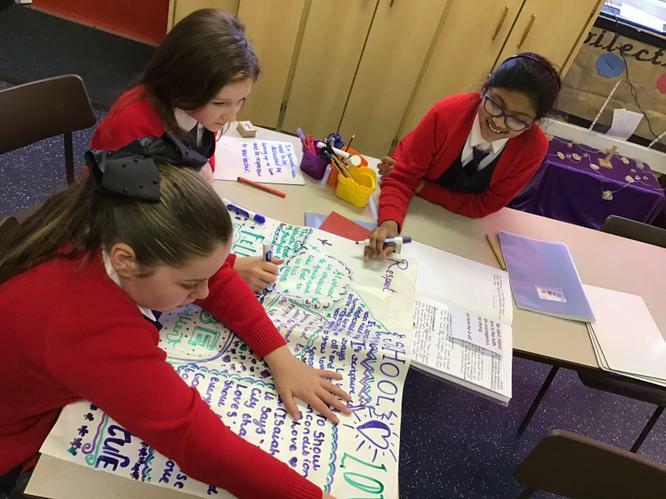 Year 4 researched different people who excel in Art, Music and Sport - they worked together to write all the facts they could find out about their chosen person. 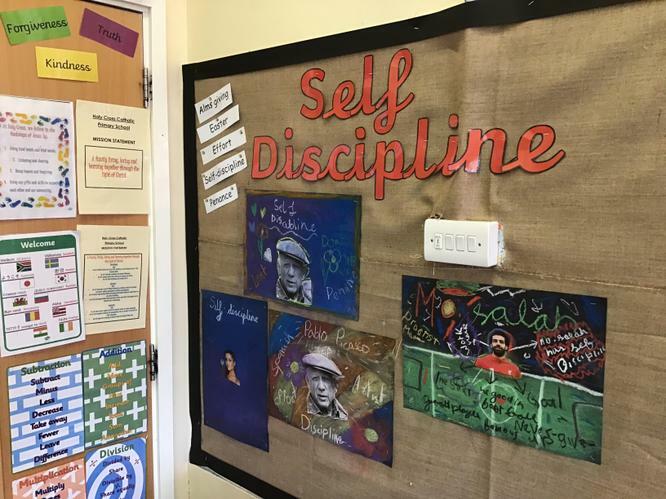 We spoke about how these people have self-discipline and worked hard to achieve their full potential. 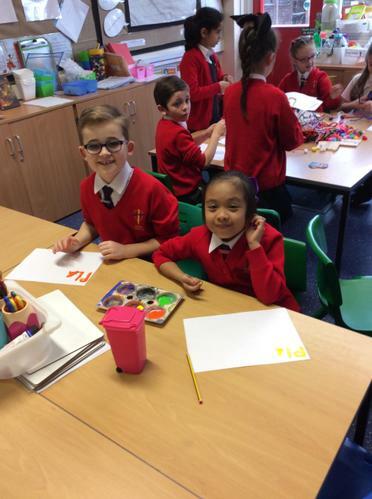 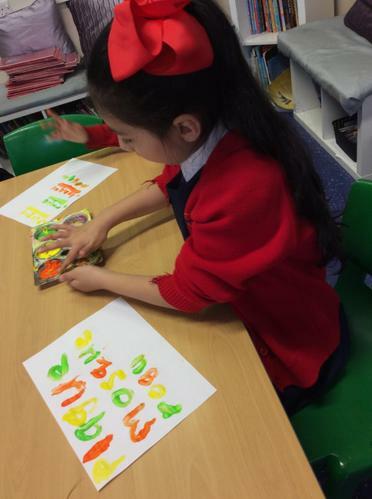 The children then used writing in Art as they created beautiful artwork representing the hard work and dedication of their chosen person. 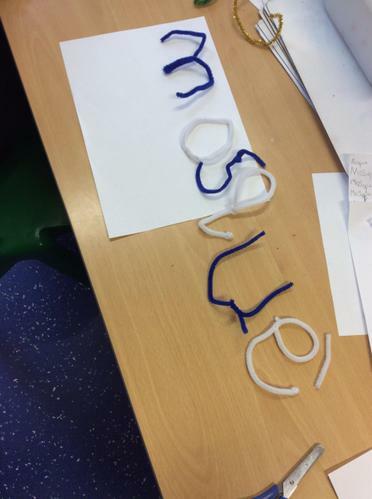 Year Two often use Pobble in class to find good examples of children’s writing. 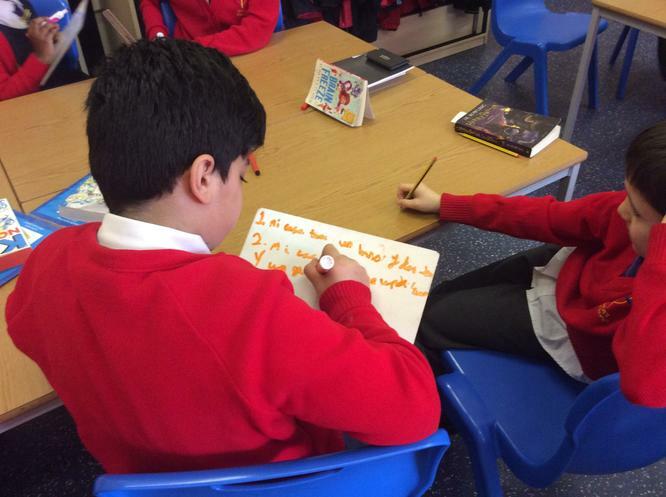 We always use highlighters to highlight any super sentences or key features that we spot!!! 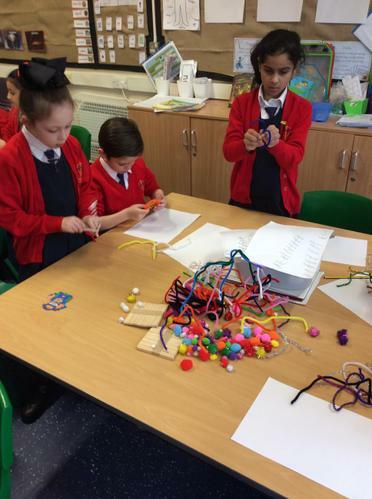 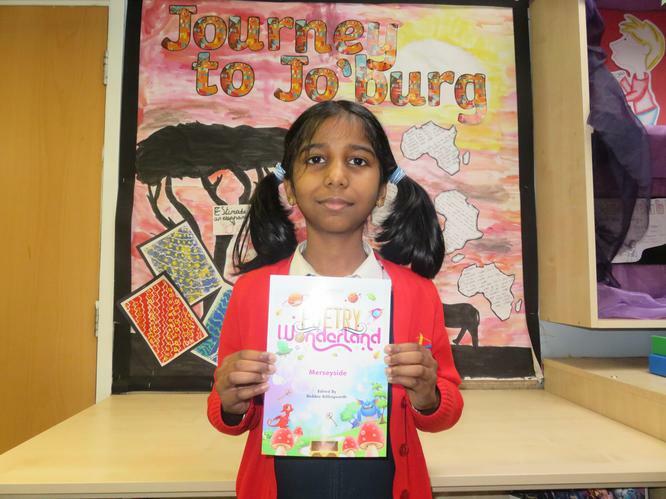 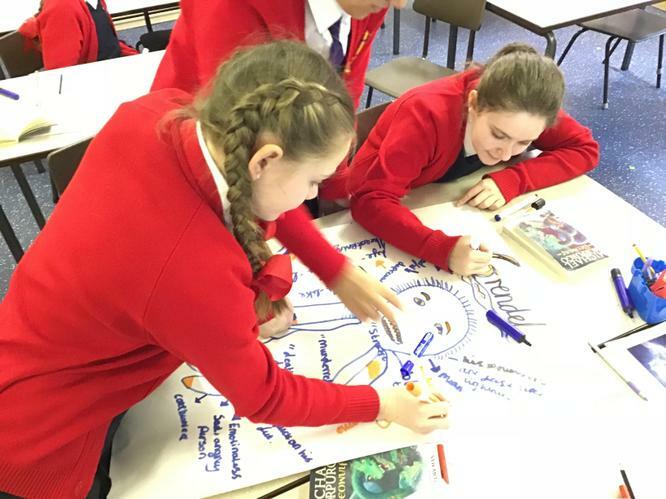 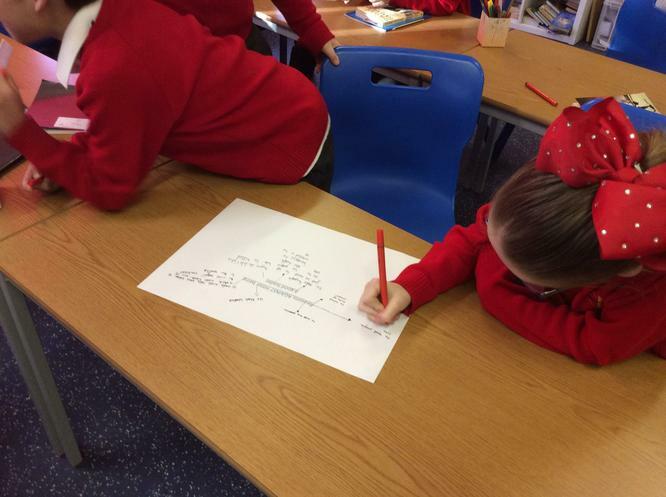 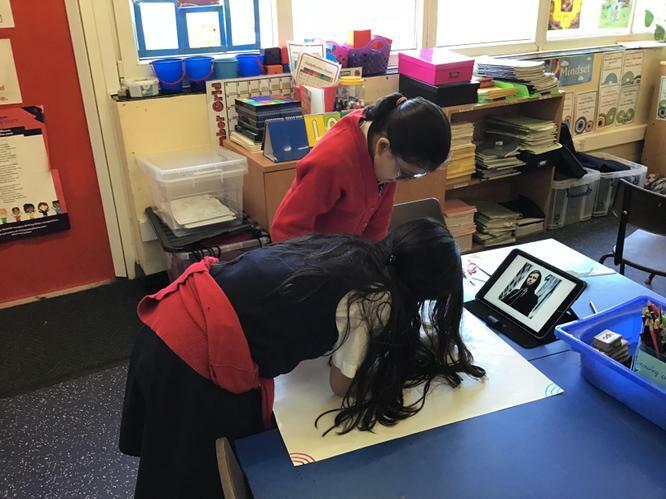 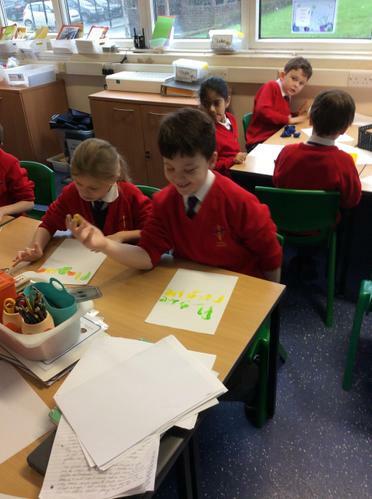 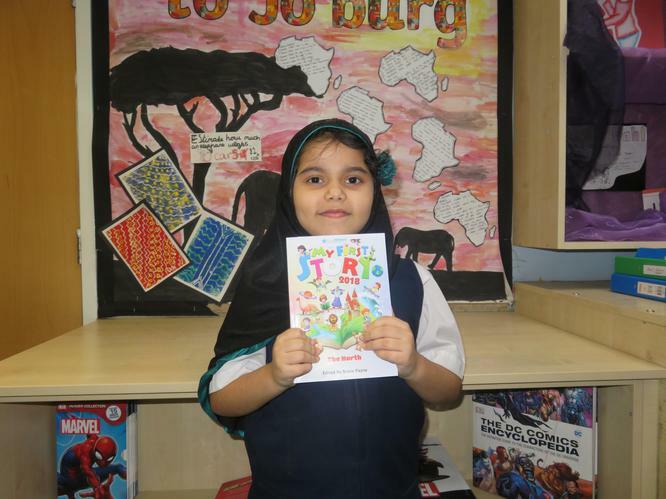 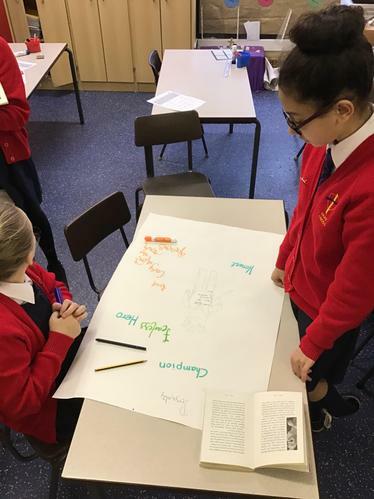 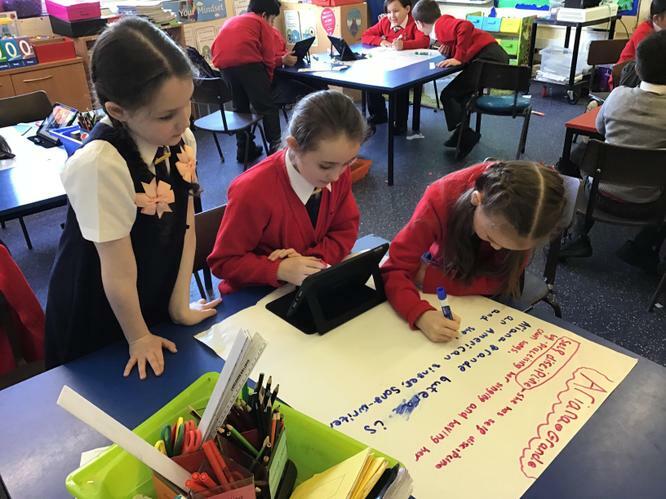 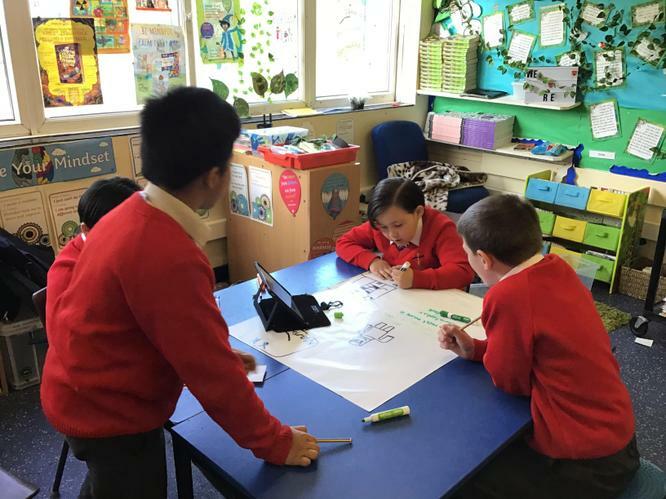 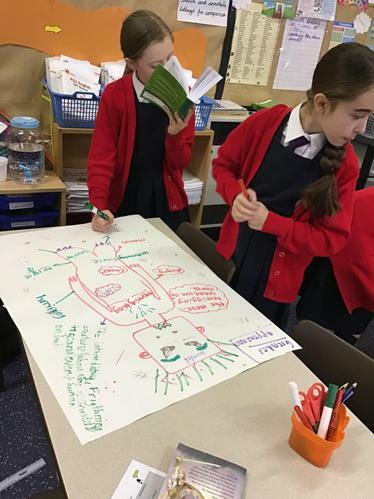 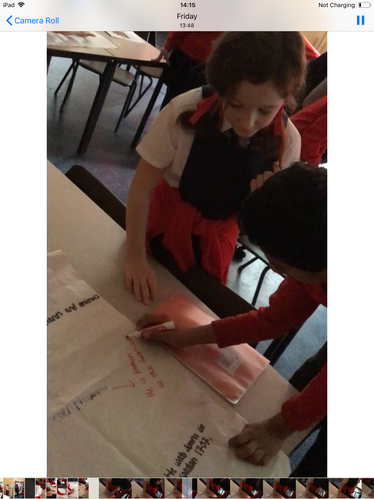 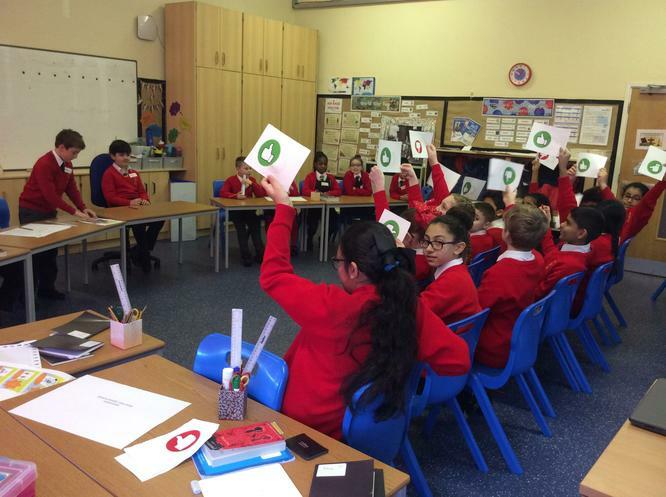 To celebrate World Book Day, Year 5 participated in different activities suggested by Pobble. 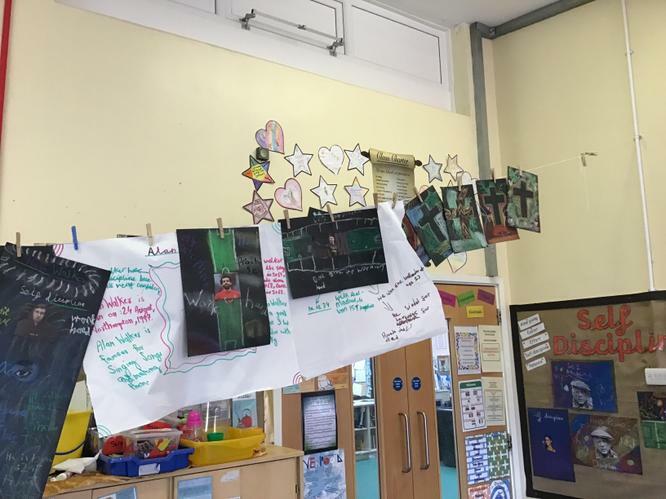 First of all, the children listened to a video based on how a famous author decided on characters for his books. 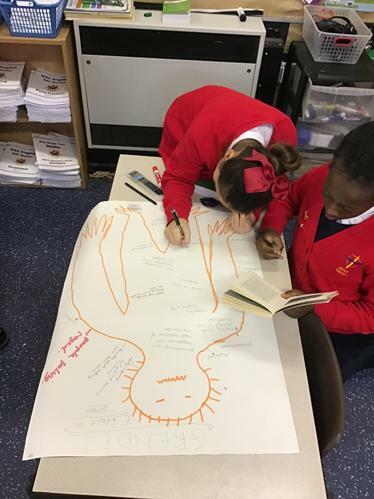 The author suggested that the best way to create a character is to think of someone you know and to use their habits to create a new character. 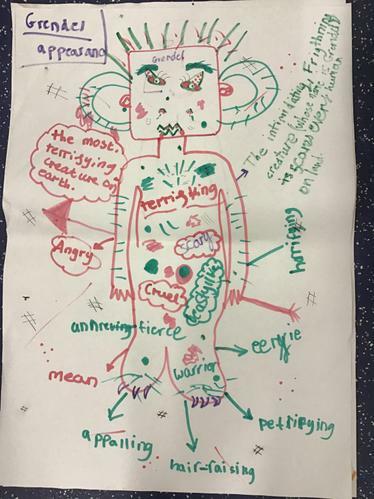 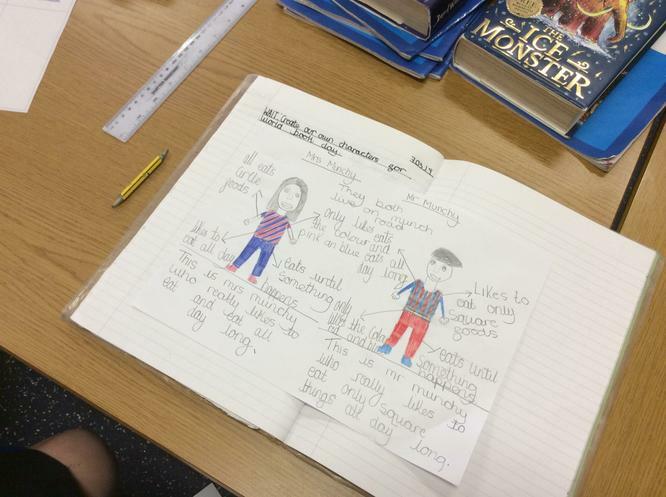 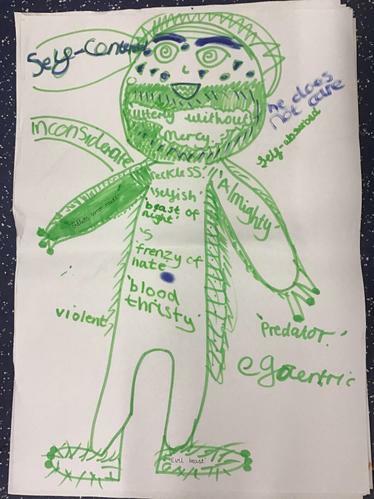 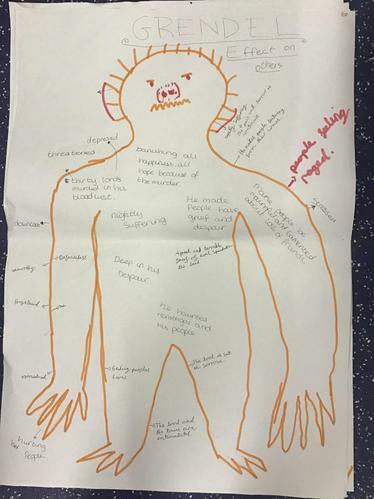 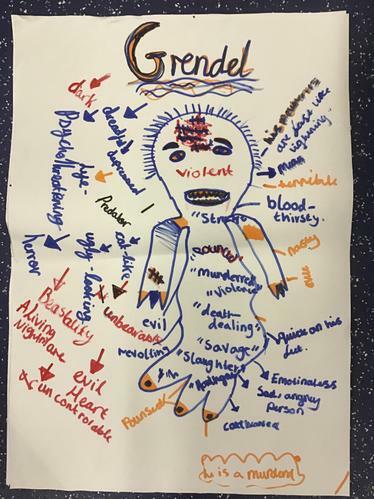 The children created their characters and annotated them. 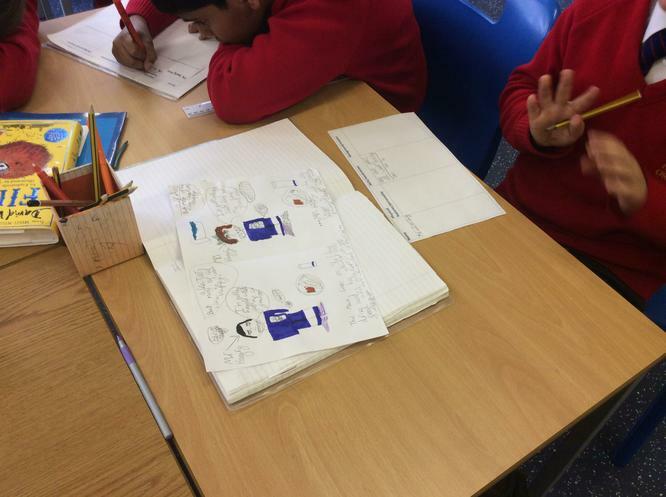 The children then used their characters and their plot to create a story. 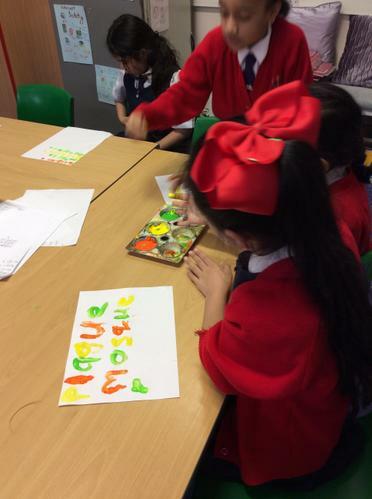 In Spanish the children have been learning how to describe different parts of their house. 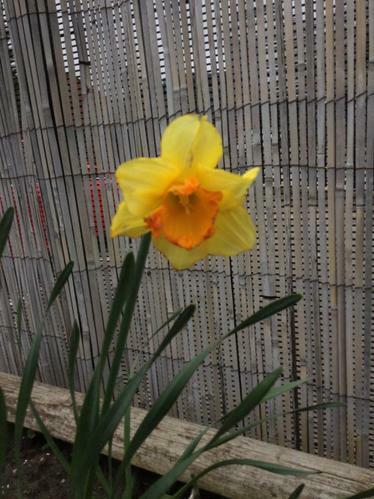 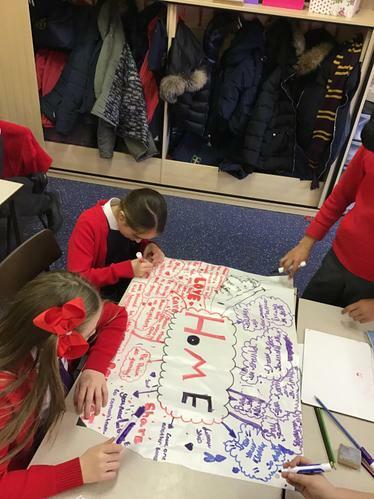 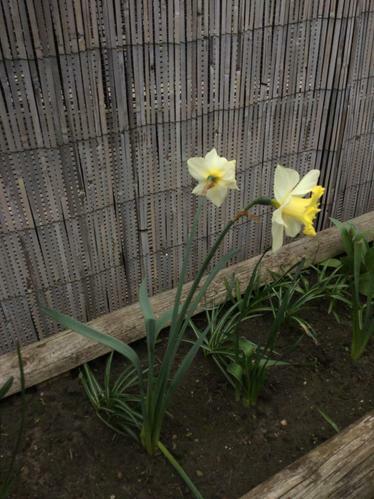 In this lesson, the children have began to use what they know to write sentences to describe their house to others. 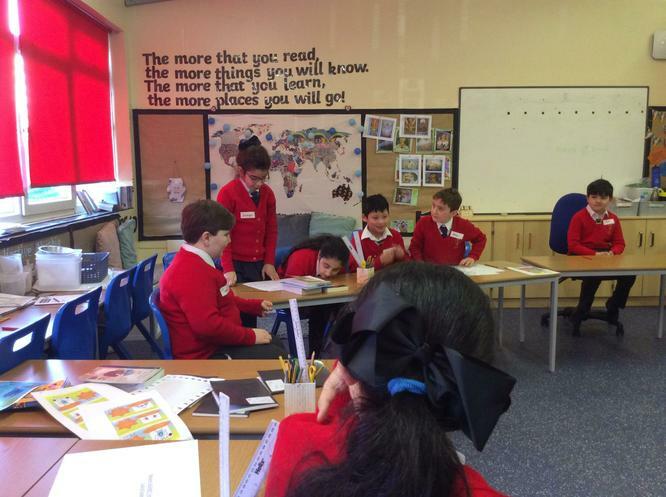 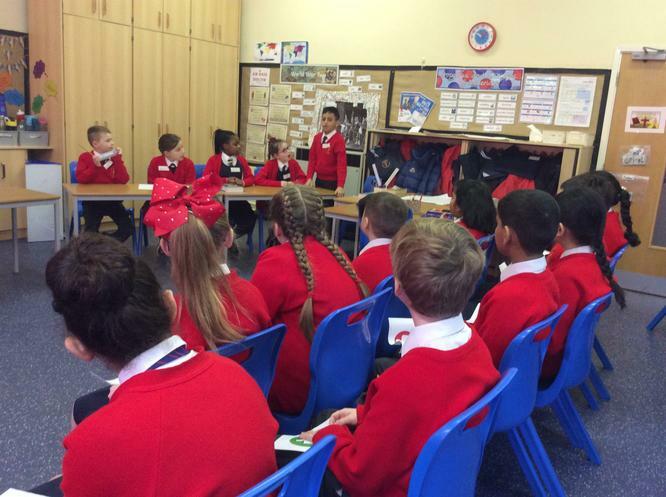 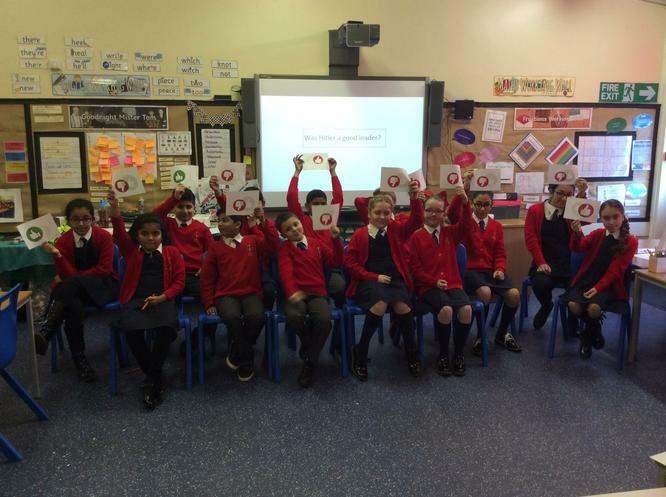 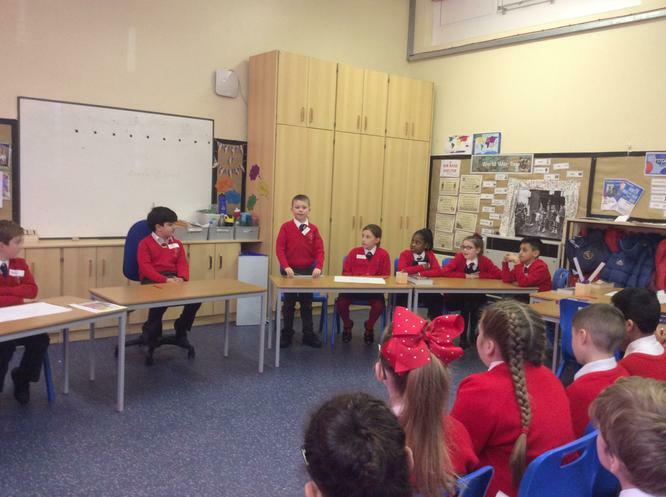 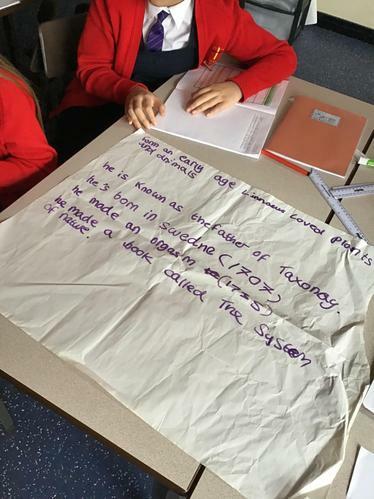 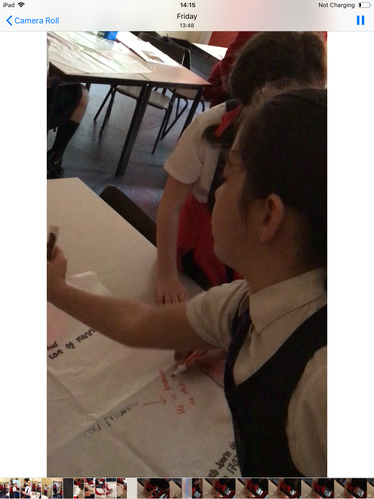 In History the children participated in a debate focusing on the question of if Hitler was a good leader. 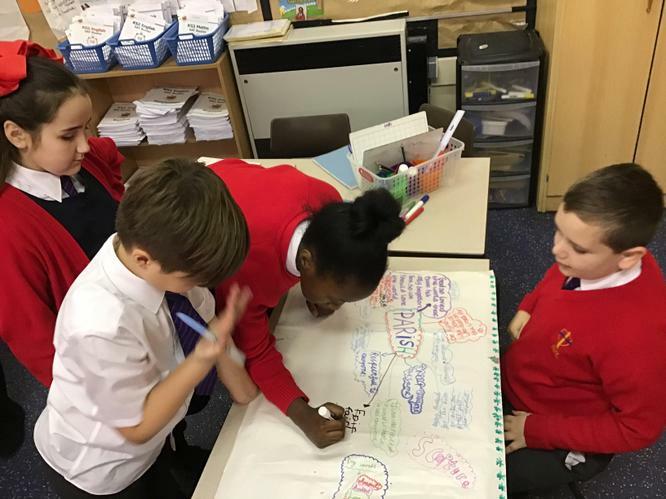 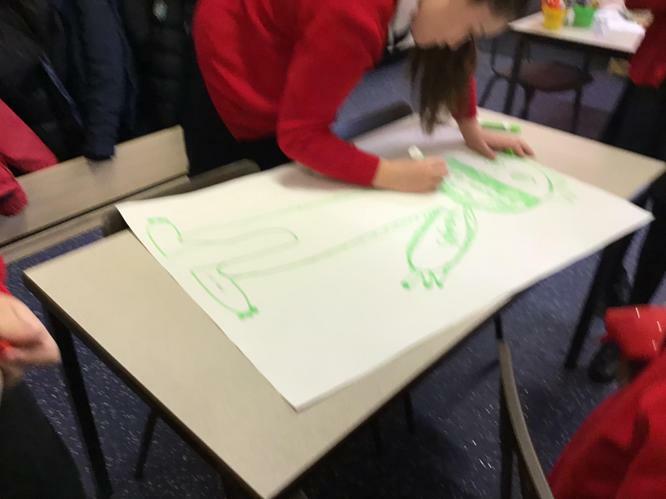 Once the children had their debates, the could use some of the point made to create a detailed fact file about Adolf Hitler. 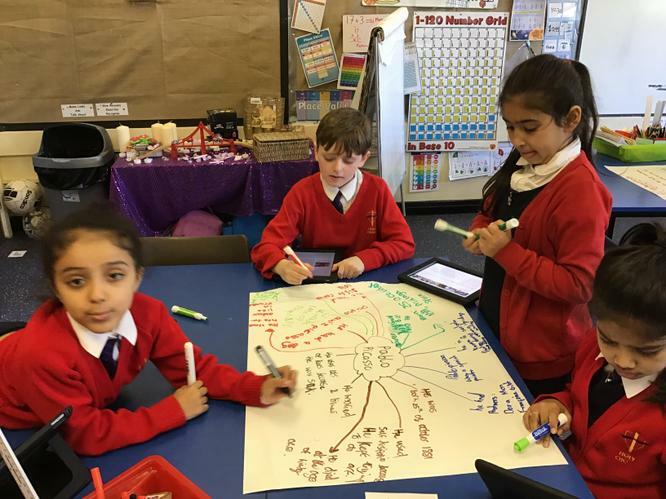 We enjoy using Pobble to find lots of brilliant writing and magpie ideas for our own! 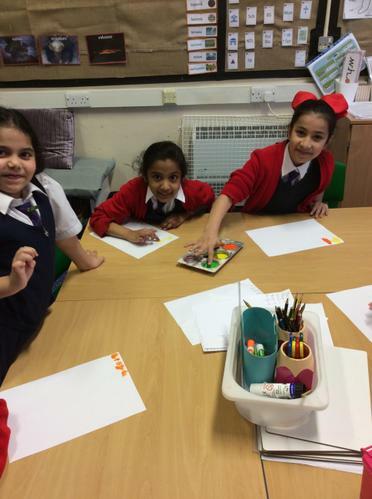 In art lessons the children have been learning about Leonardo de Vinci and looking in-depth at his work. 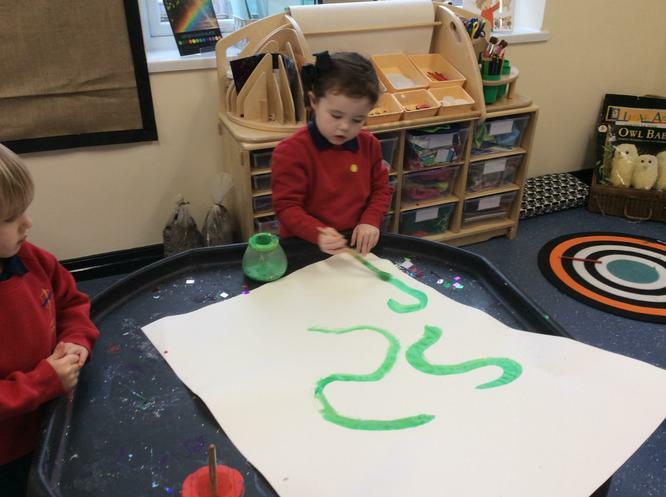 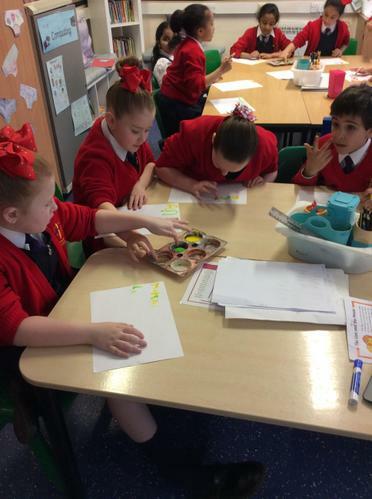 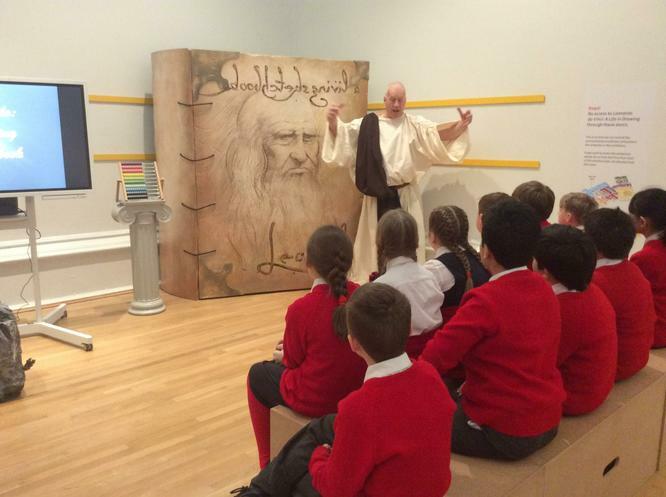 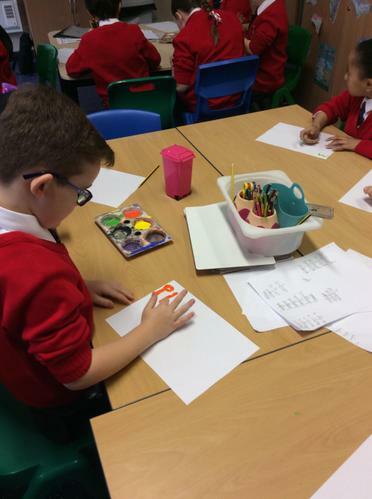 The children have also been learning how Leonardo de Vinci wrote backwards so that others could not understand what he had written. 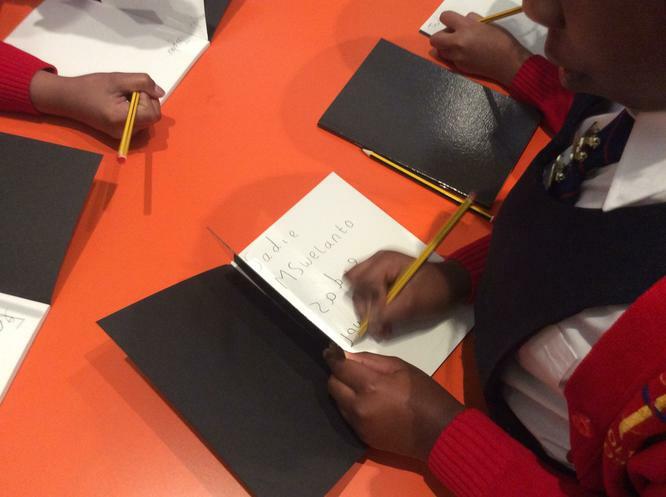 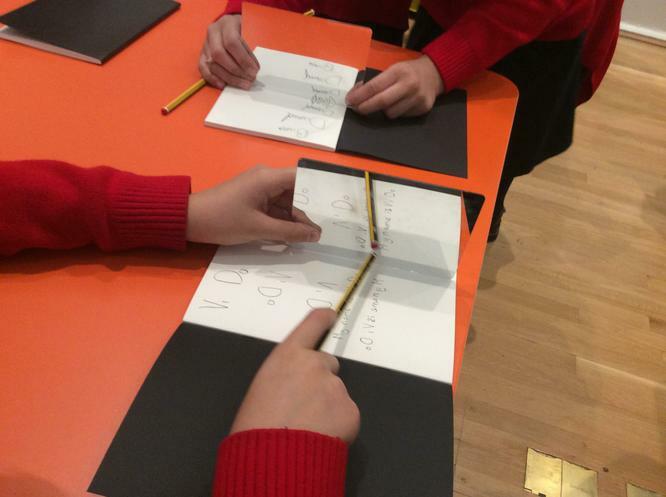 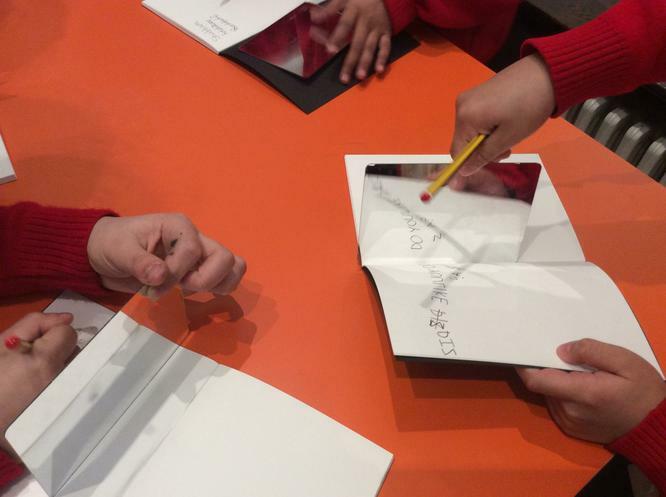 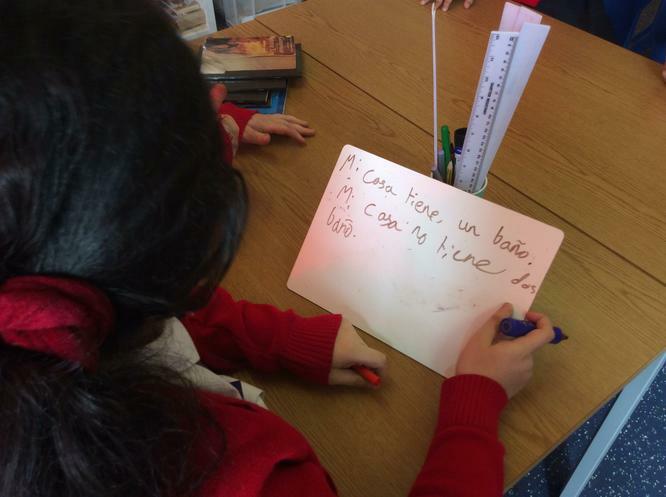 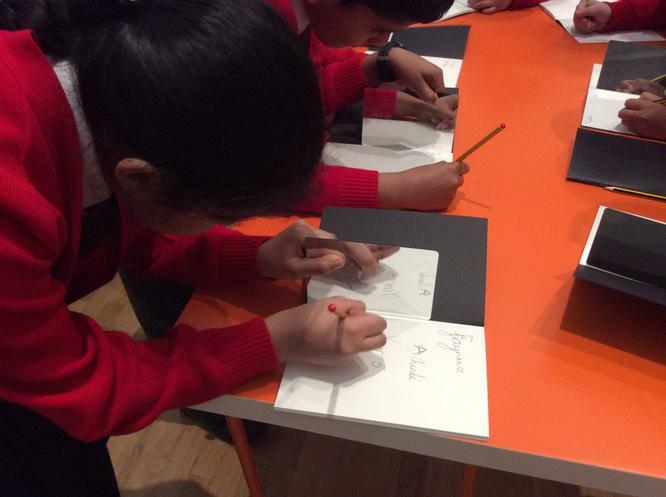 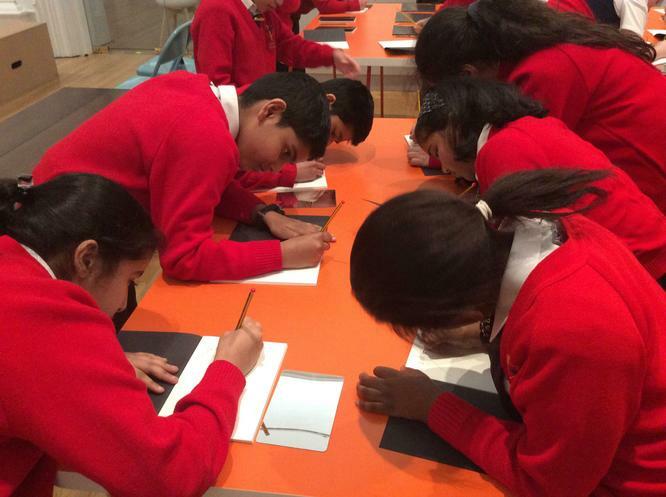 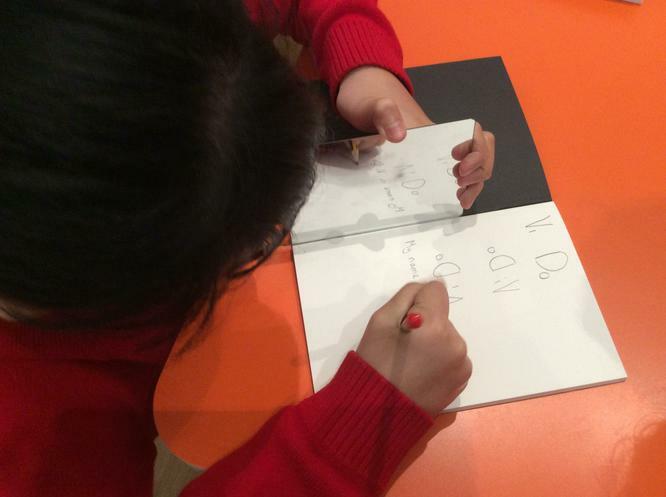 During the trip, the children had the opportunity to have a go at mirror writing. 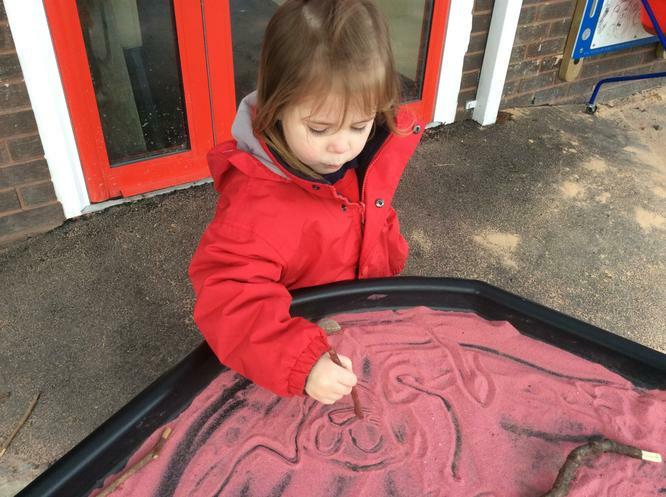 All the children had lots of fun when doing this! 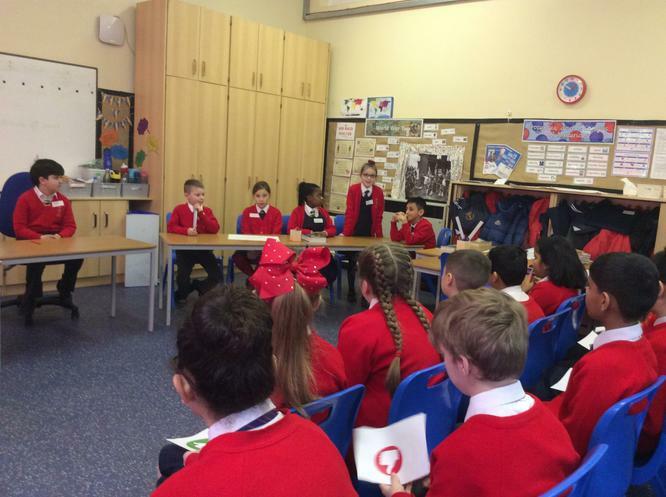 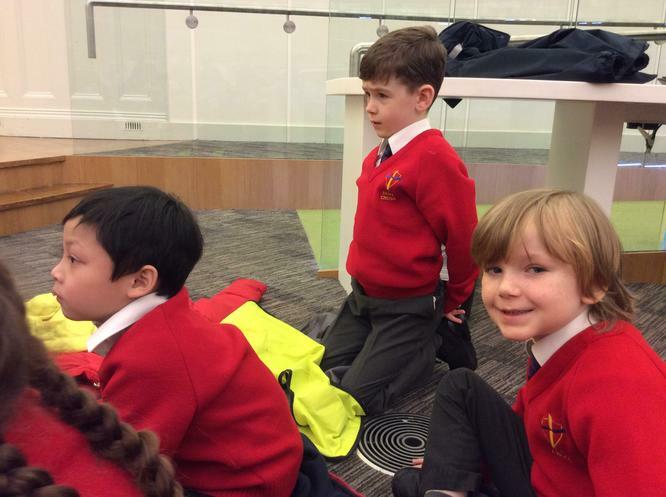 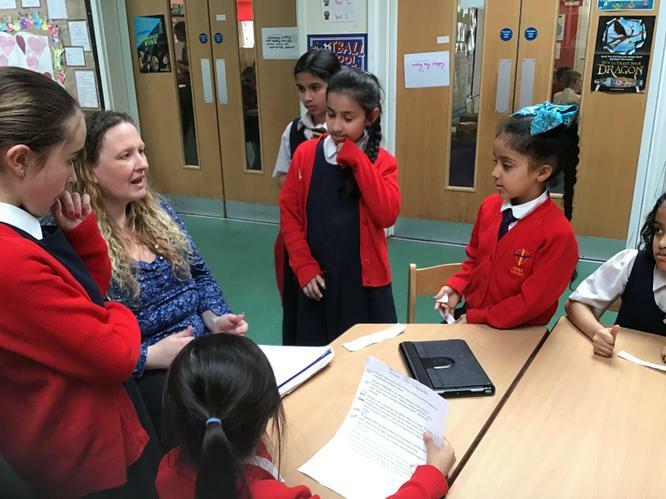 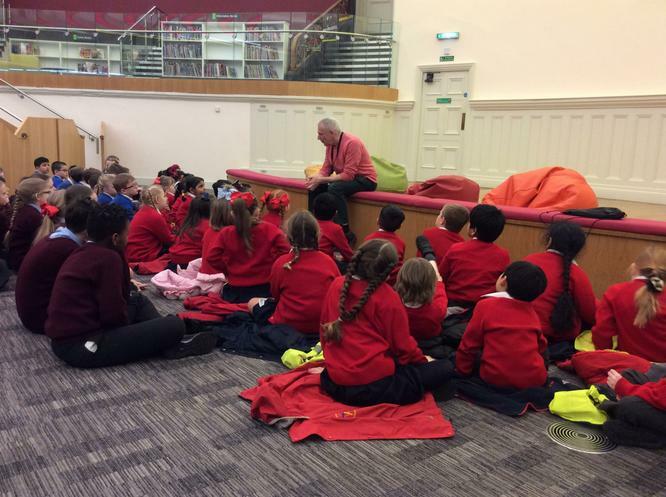 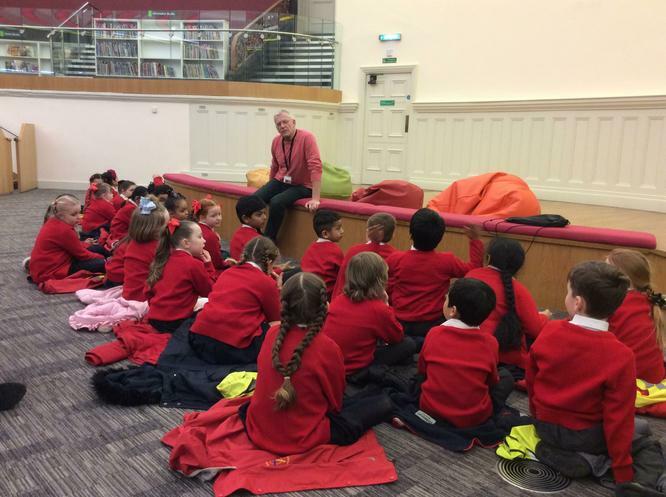 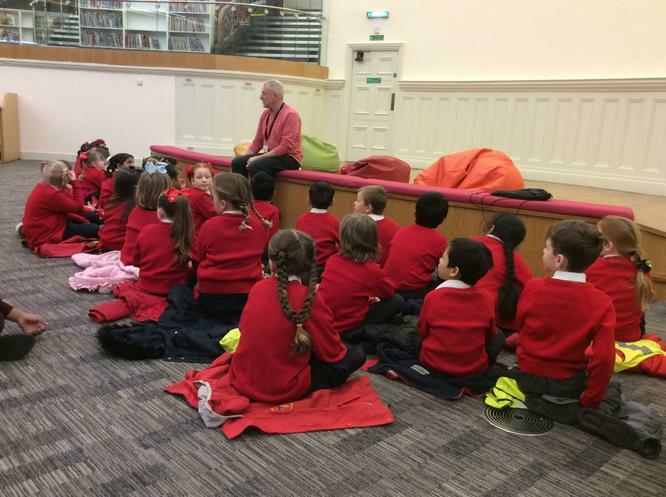 Year Two have taken part in National Poetry Day by taking part in a live BBC lesson. 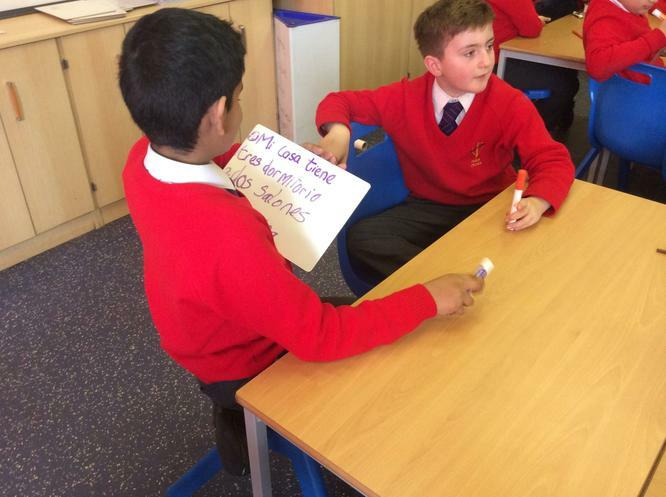 It was lots of fun and we created some super similes.